A weird thought I know, but recently I have come to realise the value of a very small insignificant thing – a place to sit quietly and do something that I want to do without being disturbed. Such a place is easily available at college – you have the library to sit and read or write or even watch a movie, you have the IPC to take your laptop to, then there’s SAC, and IC, the hostel common room, and above all, you have your own room, which you don’t share with anyone. Living in a city replete with Crosswords and CCDs, I realise the value of these joints now. All I want is some place where I can take a notebook to scribble, a book to read, and my laptop to watch Lord of the Rings or Naruto whenever I feel like. CCD is a good option, I know, but not for someone who doesn’t like coffee or chocolate or any product based on either of them. There are libraries and reading rooms, but they do not permit the use of laptops. Then there are internet cafes, but they are too crowded and too cramped. And there are the book stores like Crossword and Landmark, but obviously they don’t allow you to take your bag(gage) inside. Being stuck in this quandary sometimes makes me wonder – A place to sit?! Thats what I miss in this huge city which has a mall at every turn! And it also makes me wonder, wont it be a great place to build – a place to sit? No coffee to serve or books to offer – just a place with tables and chairs and electricity at the user’s disposal. In this fast and crowded life which doesn’t ever seem to stop, won’t people be willing to pay a few bucks an hour to just sit in solitude, away from work, home, roommates and everything? I don’t know. I wonder, though. 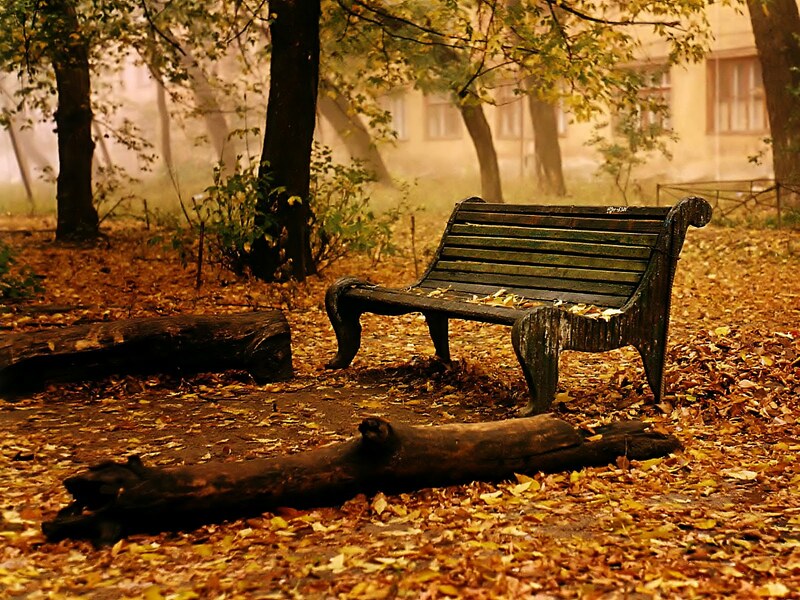 3 Responses to "A Place to Sit"
Being alone is one of the most wonderful things in life. The time that we have to ourselves to explore the mind and creativity that we have in ourselves. I do not know how many people enjoy loneliness the way i do. I always dream of being alone somewhere like the bench in the picture listen to some music, write a few things and think about things. In this fast moving world its a rarity. It so happens that loneliness is just not enjoyable the way it used to be before when we were in campus. Rem the story of the banker who chalenges a lawyer to spend 30 years in complete solitude…. for which he was ready to pay the lawyer 1million dollars(late 1800s ppl… 1 million is a lotta money!! )Ever since i read the story the only thing dat came to my mind was: " I would have done it for free"
30 years with nothing to do and nothing to worry abt and spending the whole time alone with my books sounds like heaven to me!! Complete solitude is the definition of happiness for me…. would give every cent i have to have it! !